American Idol tours make a stop in Fairfield, Conn.
Fairfield Theatre Company (FTC) has seen their fair share of American Idol winners and runner-ups come through their doors. From Lee DeWyze’s ninth American Idol season win to runner-up Crystal Bowersox, television’s famed and talented have brought their music to FTC over the years. 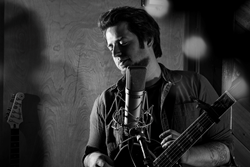 Heartthrob Lee DeWyze won American Idol season nine and just released his fifth album, “Oil & Water,” on Feb. 12. He returns to StageOne after his sold-out 2015 performance with piano-pop performer Wakey Wakey on Feb. 25. Both are touring in support of newly-released albums. After swiftly selling out his March 6 date on StageOne, David Cook has been relocated to a room triple the size, The Warehouse at FTC. The seventh season winner comes to Fairfield for the first time as part of his Digital Vein Tour. From performing songs on American Idol ranging from Michael Jackson to Chris Cornell to Dolly Parton, Cook’s show will have fans up and dancing to loud pop-rock. April is sure to be an exciting month as both Crystal Bowersox (season nine runner-up) and Taylor Hicks (season five winner) bring their original music to StageOne. Bowersox returns with her relaxed, folksy vibe for her second time in two years on April 6. Hicks is a household name for followers of the television show. He won over audiences with a bluesy R&B take on pop favorites and brings originals, covers, and fan-favorites on April 21. Winning the votes of America is tough, whether you're running for president or trying to win American Idol. Over the next two months, artists who launched their careers in Hollywood by being handpicked by fans, will bring their talents to Fairfield, Conn. The Fairfield Theatre Company is a nonprofit organization dedicated to a simple premise - that the broadest spectrum of live entertainment and cultural exchange is essential to the vitality of our society. We believe that our quality of life depends on opportunities to get out, and come together in public places to enjoy live music, art, theatre, film, all manners of creative and intellectual discourse, and to participate in these activities to the fullest. From our first season of plays in 2001 on the Fairfield University campus, to the opening of our StageOne venue in downtown Fairfield in 2004, The Warehouse in 2015, to a string of highly-acclaimed performances presented at The Klein Auditorium in Bridgeport and the Norwalk Concert Hall, FTC has evolved into the region’s most energetic and productive performing arts organization.